Sure, it falls squarely in line with the singer’s vendetta against industrialized animal slaughter, but come on Morrissey, pick a topic and just stick with it. You can’t just ball up all of your perceived slights into a single piñata of free-association without sounding ridiculous. In the case of John Bent’s Beefaroni remix, exceptionally ridiculous. Clocking in at five minutes, the construction is minimal. 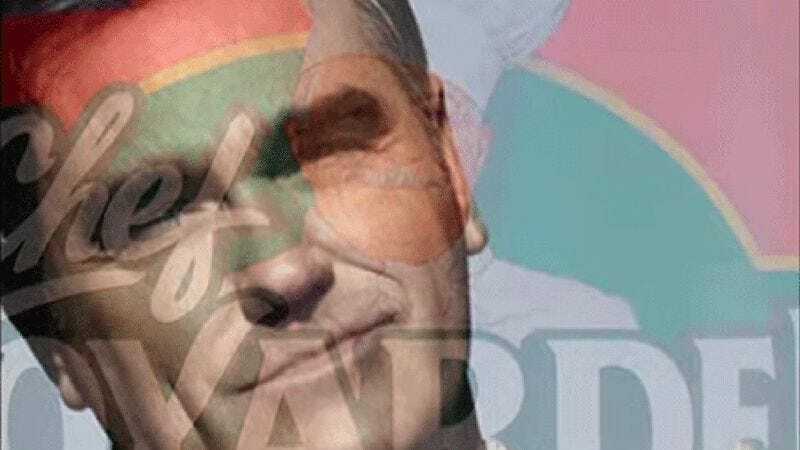 A loop of “Beefaroni,” accompanied by a crying Morrissey fading into Chef Boyardee’s implacable smile, and back again. Is it a low blow to Morrissey, mocking what he stands for? Possibly. Does it call much-needed attention to the ridiculousness of this track, and the album as a whole? Yes. Does Morrissey’s warbling pronunciation of “Beefaroni” fork into dozens of bizarre directions almost immediately upon repetition? Absolutely.